Disclaimer: this is a sponsored post, I was compensated in exchange of an honest product review. All opinions are my own. I recently received The Shine Pillow by BeLOVED Life to review. 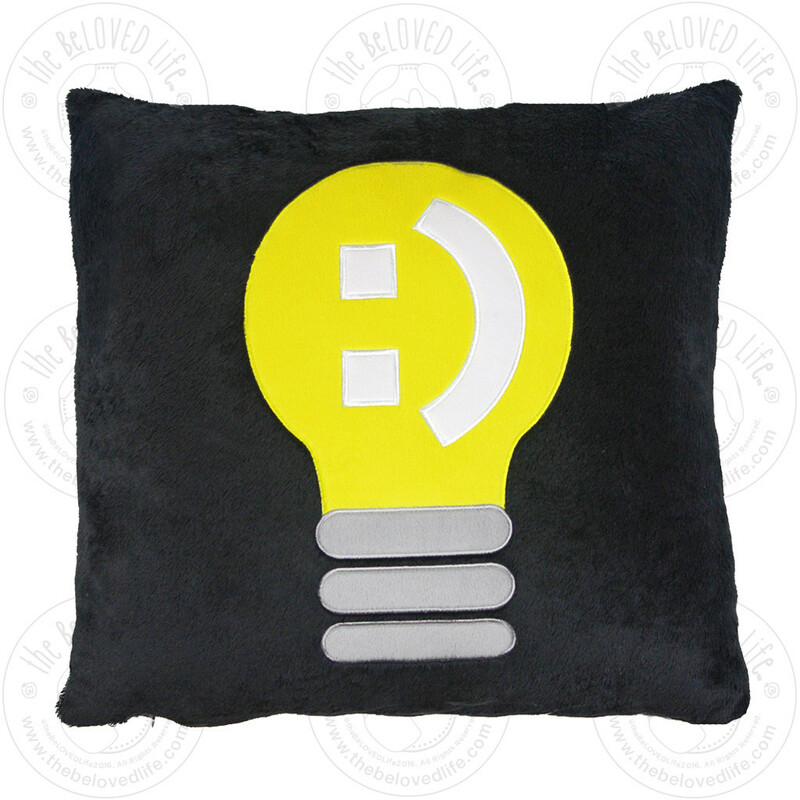 The pillow is a fun and inspirational pillow that teens will love. The plush is very soft and the pillow has a pouch for a tablet as well as a carrying strap with a cell phone holder. The pillow is on the big side, as you can see my 8 year old modeling the pillow. I just wish it was a 12×12 size, this was too big for us to travel with on a plane. I would love to see more products from this line, maybe a neck pillow and a smaller pillow size option. I love the messages behind this products line. 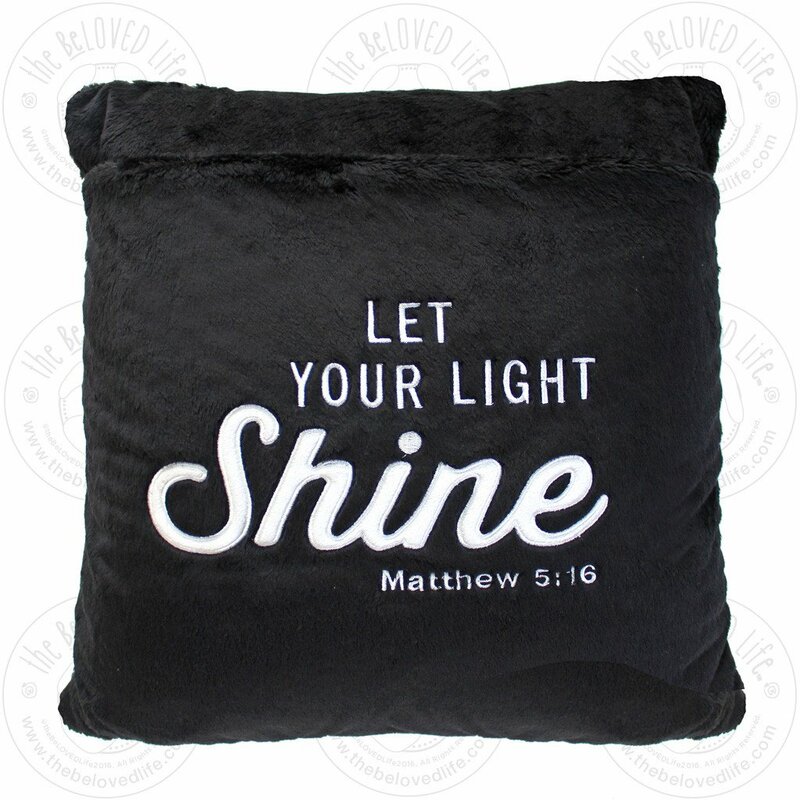 There are 7 plush pillow designs to choose from and I chose the one scriptures verse that goes with my blog Matthew 5:16. 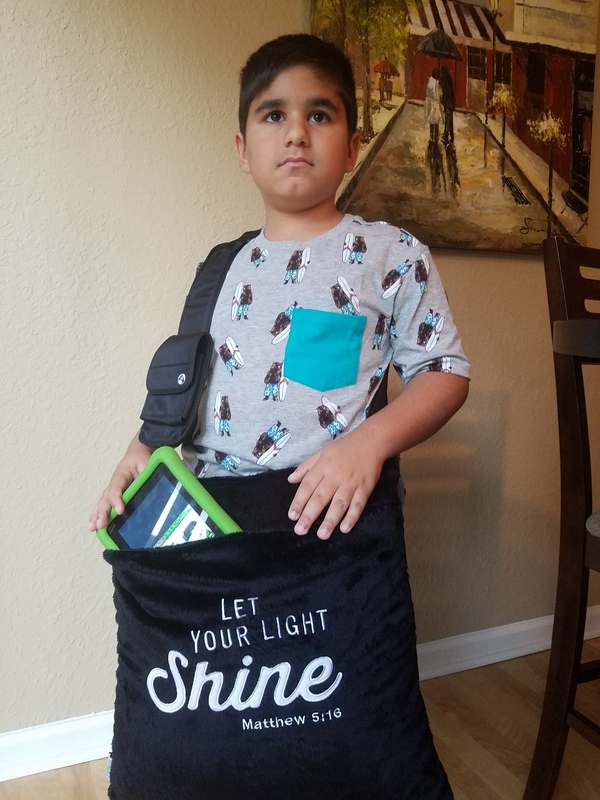 The Shine Pillow is a beautifully designed inspirational plush pillow which reminds us that we can be Bright Shining Lights in our corner of the world. 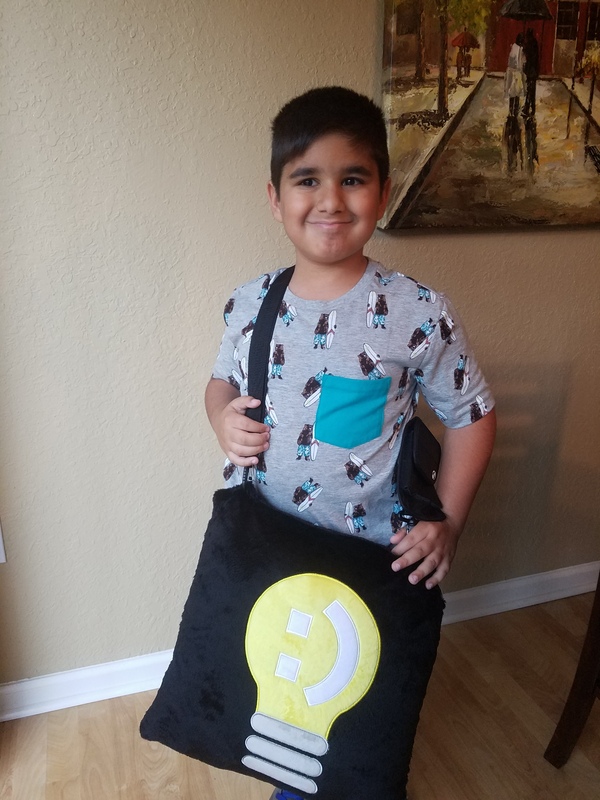 Not only is this a fun, cuddly pillow, but it has an encouraging message that you can take with you as you head out to camp, school trips, sleepovers and play dates. Handmade Plush cover w/zipper & soft poly insert. 16″ x 16″. Enter the BeLOVED Pillow Giveaway below.